There was four coupon insert in today's weekend newspaper. 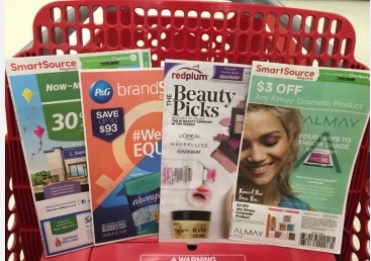 Look for one Procter & Gamble, one Red Plum, and two Smart Source inserts. You can combine these coupons with Target gift card promotions, a Target mobile coupon, Cartwheel offers and rebate offers to save at Target!